Just recently Joaquin Phoenix was revealed to be the actor for The Joker role in the upcoming DCEU The Joker origin movie. Looking at his Joker make-up, Joaquin Phoenix’s The Joker definitely looks different than any The Joker portray in cinema so far (and he looks terrifying too!). So far the man seems extremely cool in The Joker role and we’re really interested to see this Joker origin story in 2019. Until that day, instead of just waiting, let’s check out entire The Joker movie history so far! 1. Who is The Joker? … While yeah, we agree that most people probably have known the name “The Joker” by now; what we would like to talk about though is the origin of this fictional character. The Joker was originally a fictional villain who got his first debut in Detective Comics #27 in 1939. At that time Batman did not have his own series yet until 1940 due to his extreme popularity. This first Batman series featured quite a number of characters, including Robin, Catwoman, and especially The Joker. The Joker’s concept design was based on a sketch drew by co-creator Jerry Robinson. 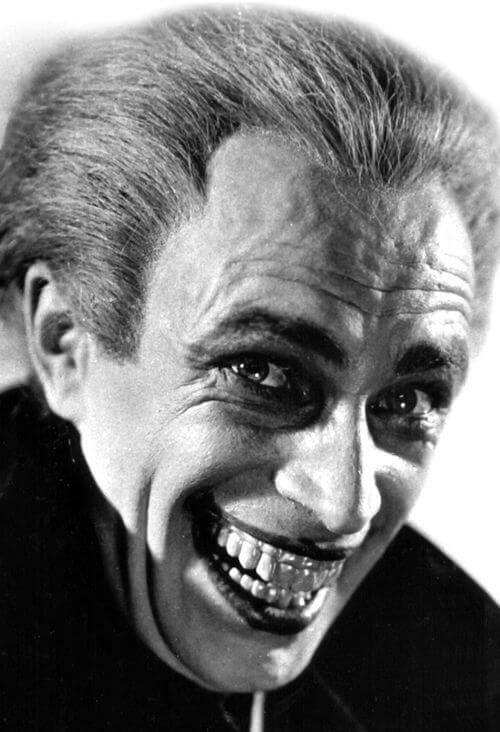 That said; the true inspiration was in fact Conrad Veidt‘s character Gwynplaine in the film The Man Who Laughs in 1928. Combining these two inspirations, we have the iconic The Joker, a lunatic Clown Prince of Crime with green hair, white skin, and especially his freaking laughter. Throughout the history of DC Comics, The Joker has quite a number of changes but for overall, he still remains as an insane, extremely intelligent villain who can easily mess everyone up, including Superman (remember Injustice game by NetherRealm Studios?). Also, one interesting part about The Joker is that: He does not have any clear origin stories. Even he himself said: “Sometimes I remember it one way, sometimes another … if I’m going to have a past, I prefer it to be multiple choice!” This opens up tons of possibilities for comics, films, and games to write their own story of The Joker, which makes the upcoming The Joker 2019 film even more exciting. 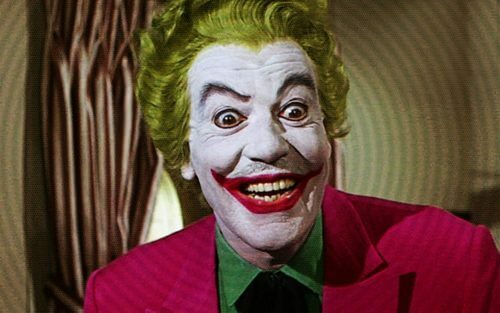 In 1966, the very first Batman TV series was on air, featuring Adam West as Batman and Burt Ward as Robin protecting Gotham City from various villains, including The Joker played by Cesar Romero. And before someone may “trash” on this old TV series, this Batman show was intentionally made to be humorous. Since the film primarily aimed towards young audiences, typically teenagers, it only includes simple moralities and lessons in life like having vegetables, milk, and… doing homework? As the result, The Joker in this series was more of a comedic villain rather than a dangerous, scary clown in later depictions. 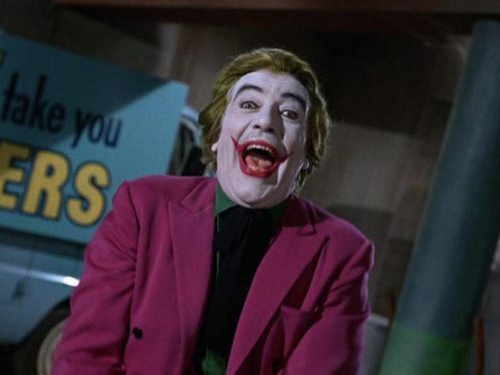 Nonetheless, it was still interesting to see a real-life The Joker for the first time with purple suits, the iconic green hair, white skin, and Romero’s fantastic laughter. 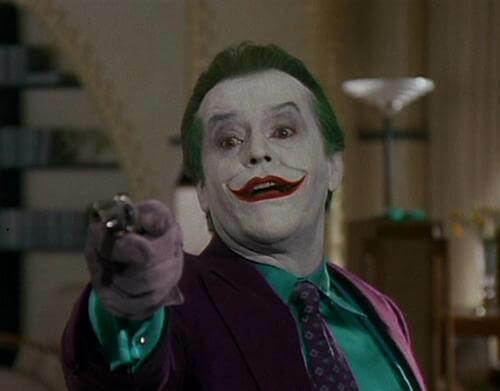 In 1989 there was a Batman movie directed by Tim Burton which brought the fan’s favorite Dark Knight of Gotham (portrayed by Michael Keaton) and his most dangerous nemesis The Joker (portrayed by Jack Nicholson) into an ultimate showdown. In this movie, Nicholson totally nailed the role of the The Joker, a.k.a Jack Napier who began as a mobster, then eventually became the famous Clown Prince of Crime. The incredible part about Jack Nicholson in this film was how excellent he was in the role of The Joker. Plus, his Joker is also arguably the funniest to date (in a good way of course). He was so good that audiences had to keep reminding themselves that they were watching a lunatic criminal, not a hero. And unlike Romero’s The Joker, Jack Nicholson’s The Joker was much darker, which matched the villain’s original characteristic. 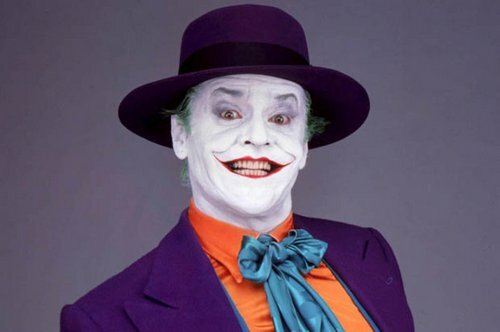 After all, Nicholson’s The Joker is among the most iconic portrays of The Joker to date with lots of memorable moments. Now we come to Heath Ledger’s The Joker, who was considered by the majority of fans as the best Joker in cinema to date. In any case, we all cannot deny the perfect performance of Health Ledger as The Joker. The Joker in The Dark Knight 2008 directed by Christopher Nolan was even darker than any previous portrays of The Joker. This Joker faithfully adopted the idea of an extremely insane, psychopathic mass murderer, who did not wish for anything but chaos. He did not show any sort of remorse or sympathy, he just wants to “want to watch the world burn”. More importantly, Heath Ledger’s The Joker was so intelligent, so sinister that he made fool of everyone, even including Batman. Almost everything went right in his palm, he drove people on edge just to show how truly miserable, how evil human truly was. Aside from the excellent writing for The Joker, Heath Ledger was definitely the other main element who brought this psychotic Joker to life. 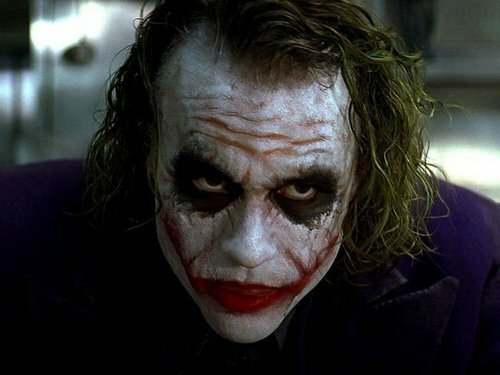 Heath Ledger fully embraced the characteristic of this villain and portrayed them perfectly. 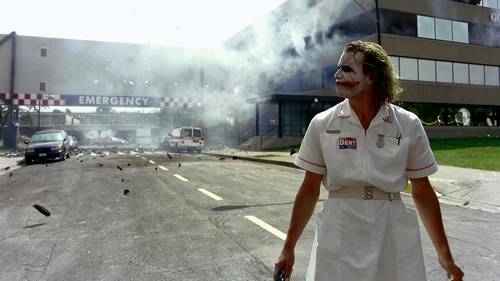 Remember the scene when The Joker walking away from the hospital and blew it away? At that scene, it was revealed that there was a technical error which delayed the explosion. Yet during that scene, Heath Ledger “improvised” so well that they decided to keep it, which pretty much showed how excellent Heath Ledger’s The Joker was. 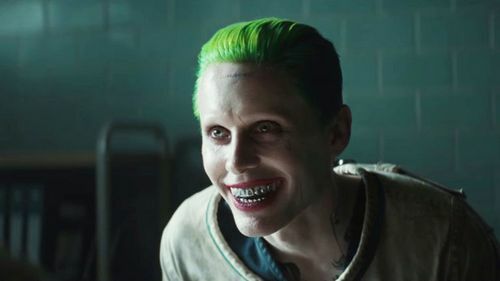 Suicide Squad 2016 featured a brand new Joker played by Jared Leto. To be fair, Jared Leto’s The Joker was not a bad villain; however, he did leave quite a number of things to be desired. For many viewers, Jared Leto’s performance with this Joker role was underwhelming. 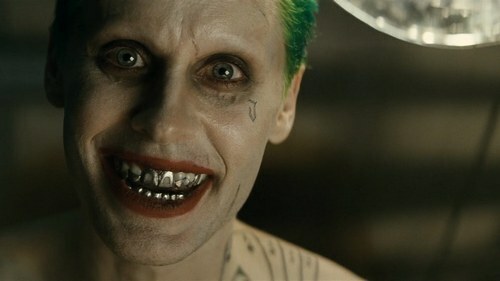 While Jared Leto is a great actor himself, his Joker was not great mainly due to the character’s over-the-top portray. To certain extent, many people were so used to the manipulative Joker like Heath Ledger. And naturally, they would feel disappointed when Jared Leto’s The Joker was unlike what they expected. Not to mention, despite being the main villain, The Joker did not have enough screen time, thus making the character felt less impactful. Coming to 2018-2019, we have Joaquin Phoenix portraying as The Joker in the upcoming 2019 The Joker origin movie. 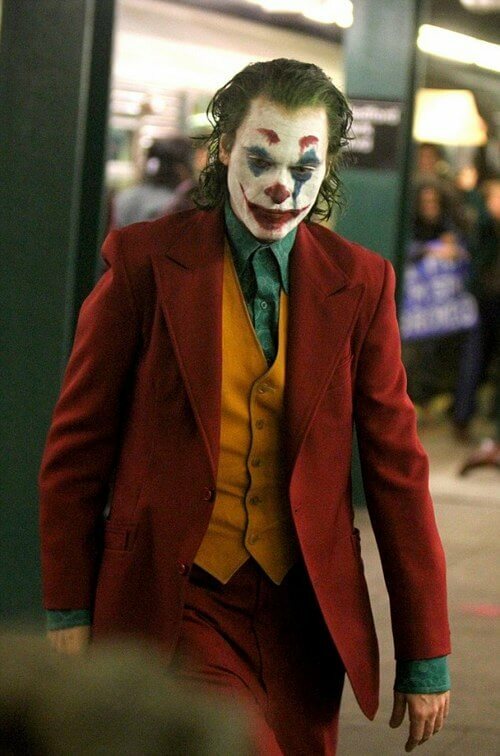 Just recently, there have been “leaked” pictures of Joaquin Phoenix’s make-up as The Joker and also, a pretty cool captured clip showing Joaquin Phoenix’s acting as The Joker in the upcoming film. At this point, we cannot rate this new Joker portray. But so far, Joaquin Phoenix’s The Joker seems to gain the majority of fans’ approval. His make-up looks somewhat different than any previous Jokers. His look resembles a messed-up, “I-don’t-care-any-more” clown who truly goes snapped. 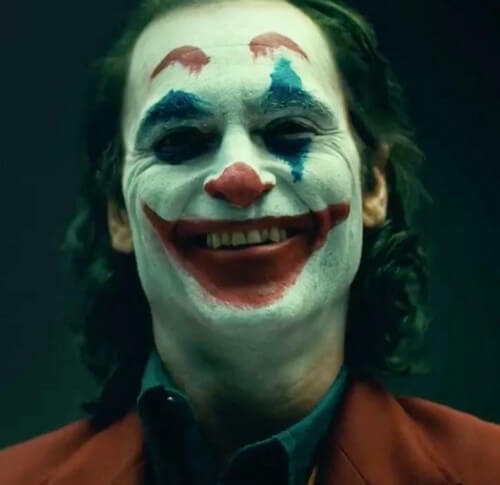 It is quite interesting since Joaquin Phoenix’s The Joker may resemble clown, but at the same time, exudes a weird aura of a messed-up man who can snap anytime. 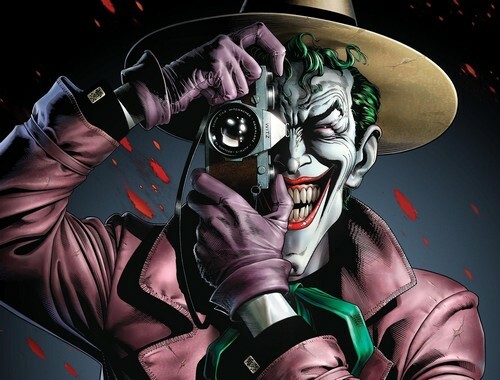 Interesting enough, this Joker origin story is possibly based on The Killing Joke story by written by Alan Moore and illustrated by Brian Bolland. This version of Joker was originally a normal man who wanted to become a comedian. But then a tragedy happened to his family which ultimately drove him insane. In case who does not know, Joaquin Phoenix is a talented actor who has a hugely successful career, including a Grammy Award, a Golden Globe Award, and nominated for three Academy Awards. His iconic performances include Commodus in 2000 Gladiator, the musician Johnny Cash in 2005 Walk the Line, and Freddie Quell in 2012 The Master. Overall, Joaquin Phoenix’s talent is definitely undeniable and it will be extremely fascinating to see him playing as The Joker in this upcoming movie. And that’s it folks! Which Joker portray in movie is your most favorite? Feel free to share with us and for now, thank you and stay tune for more news in the future!